Info: We can only give you a faint image of what you should expect from the new I.R.O.N. release, because you need to be there for yourself to experience it. A completely futuristic atmosphere, combined with explosions of old school industrial power, and now with something totally new to this project - a touch of heavy metal. All of this is there to forge a landscape of militarized world of future, where technology aggressively reigns supreme, and where wars are no more waged flesh to flesh, but steel to steel. "Re-Forge" took a job of upgrading some of the old material (4 tracks out of 9), completely recharging it into a new, heavier, more futuristic frame and wrapped into a more progressive and crushing sound. If it was possible to make tracks from "Evolving" even heavier, this release completely nailed it. Every track is manufactured to make your adrenal glands produce rushes of hormones, to make you feel uplifted by power and even bang your head on certain moments. The other half of release (5 tracks) is forged out of a completely new material, for which similar story can be applied. 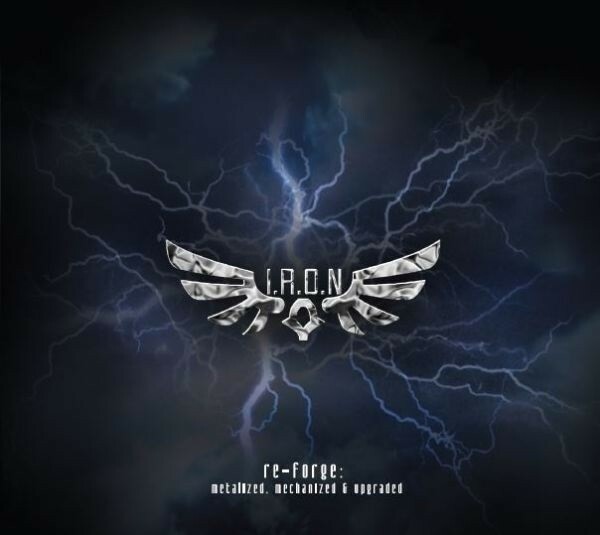 "Re-Forge" presents one more step forward in the evolution of the sound in the genre, and will certainly be a strike in the center for the fans of powerful and head-smashing, advanced industrial sound, and even fans of metal, fans that I.R.O.N. expects to already have aquired. If not, a time for them to become close followers of I.R.O.N. project is no better than after this release. Customer evaluation for "I.R.O.N. Legionarii) - Re-Forge Metalized Mechanized CD (Lim300) 2013"